Post pictures of your Emersons here! 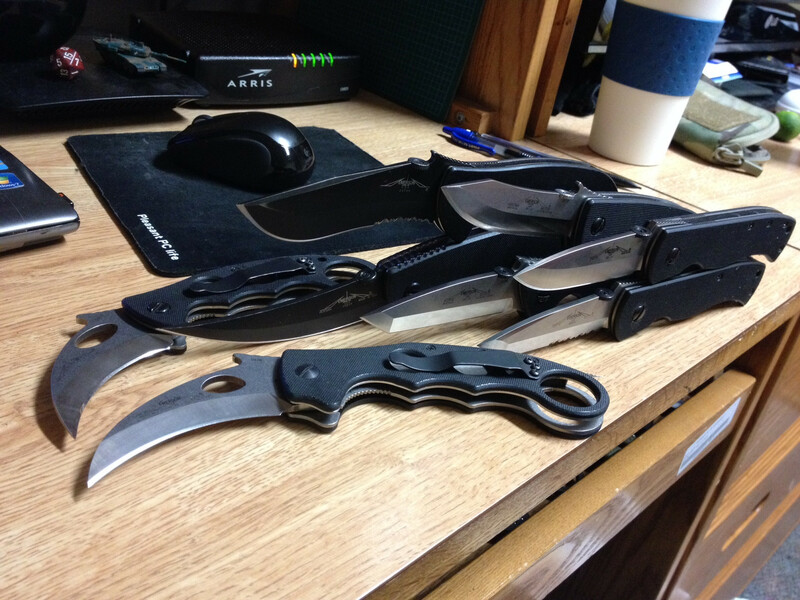 Discussion in 'Emerson Knives' started by ebidis, Dec 31, 2014. Please forgive me if i am oversteping my boundries, but I looked through all 3 pages on this forum and did not see a photo thread (except the glossary sticky, which appears to be just for customs), so I thought I would be so bold as to create one. Emersons are my favorite brand, and I like seeing what all the other enthusiasts own. So post your family pics, new, old, favorites, customs, and whatever. Let's share the happiness! P.S. Sorry about the shoddy cell phone pics, I don't own a camera, so I do what I can. Lot's of productions in the stickied thread. Nice collection. After spilling my coffee, drooling for a while, I finally looked good enough to see I was not seeing double, doubles. AWESOME. There is some similarity, I'll get a pic or two up of a comparison. Here's my family Only one not in the picture is my '06 HD-7 BTS which a friend is borrowing at the moment. Wow rayster that's a nice collection!!! Not just for customs in that other thread, it's for everything pretty much, the catch all bin. Look at the last few pages. Thanks, I am really loving the ETAK. The handle is a lot more comfortable than it looks. The more I hold it, the more I love it. Awesome collection! 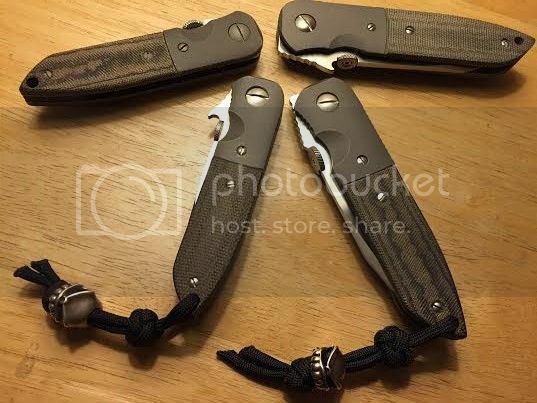 Some great customized blades. You loaned your HD-7 to a friend? Must be a real good friend.